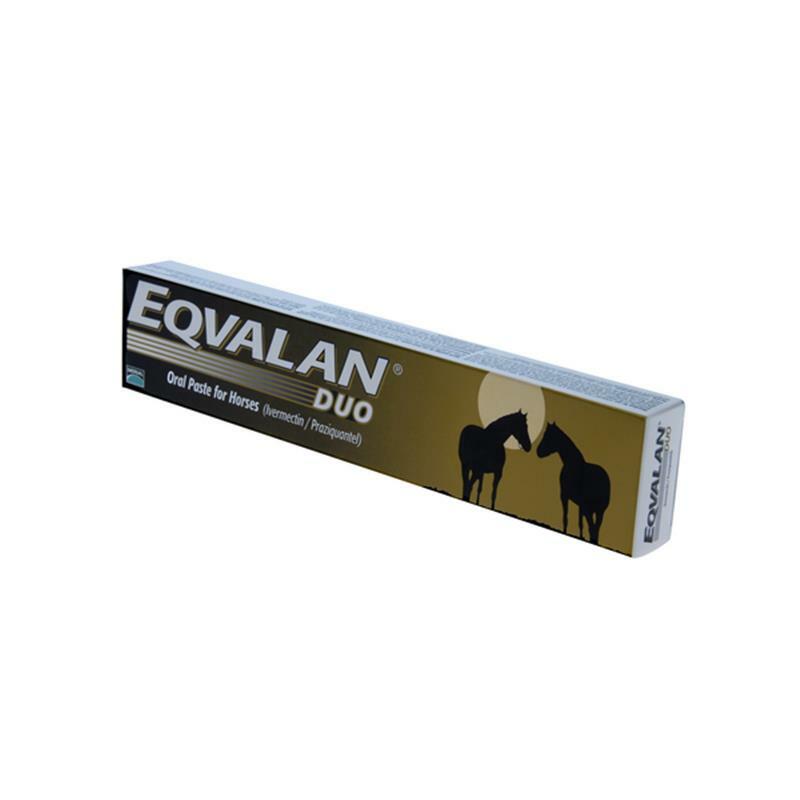 One Eqvalan Duo horse wormer syringe contains 1.55% ivermectin and 7.75 praziquantel. Eqvalan Duo is for the treatment and control of tapeworms, large and small strongyles, hairworms, pinworms, roundworms(ascarids), neck threadworms, intestinal threadworms, large-mouth stomach worms, bots, lungworms and cutaneous onchocerchiasis in equids. Each syringe treats up to 600kg.